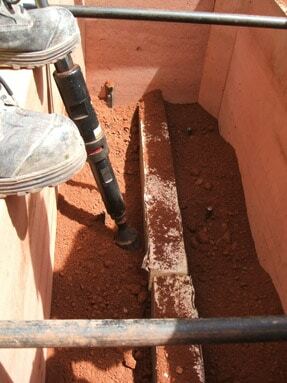 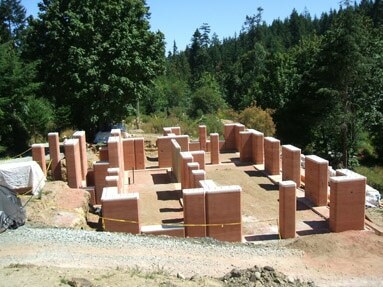 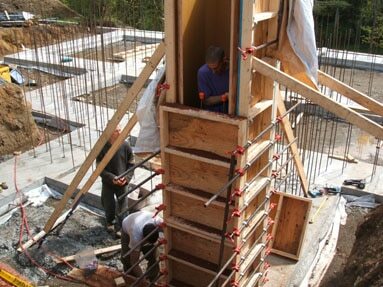 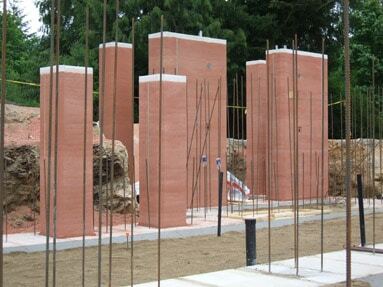 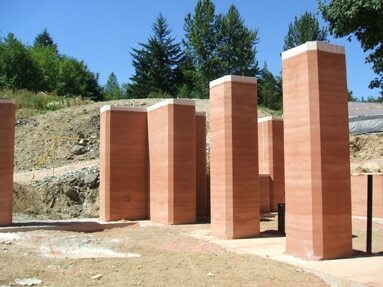 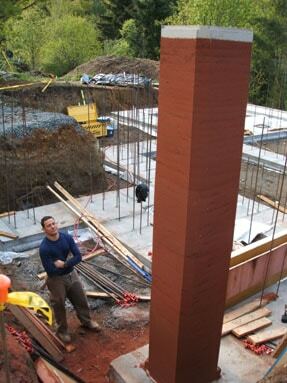 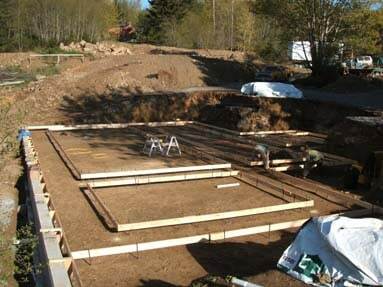 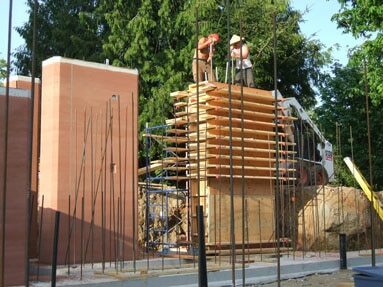 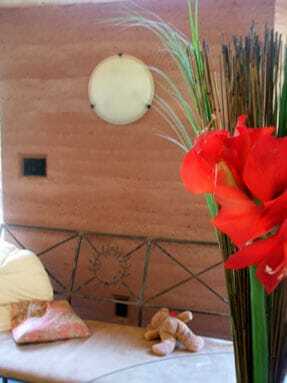 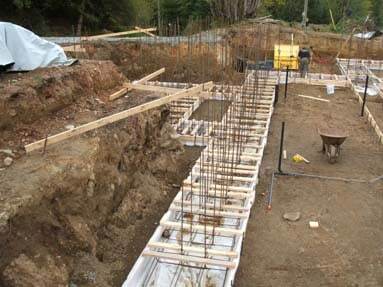 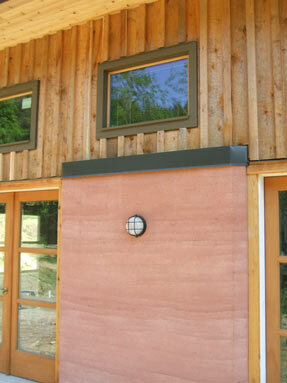 This the first pink rammed earth house in Canada or even the world for that matter. 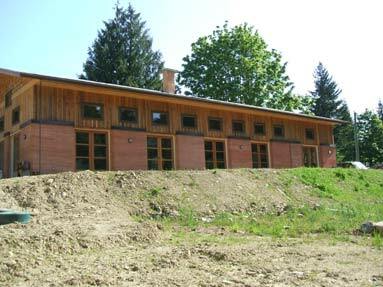 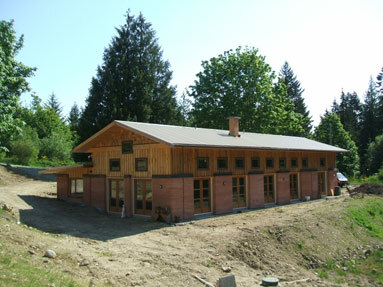 This house is in a beautiful forested setting above a ravine facing south. 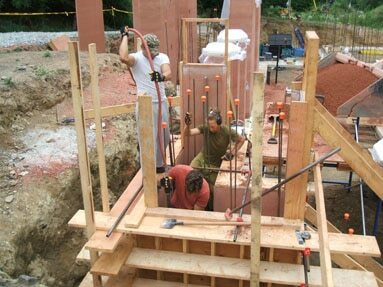 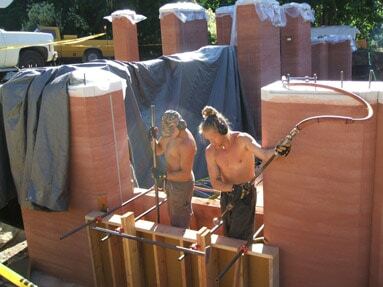 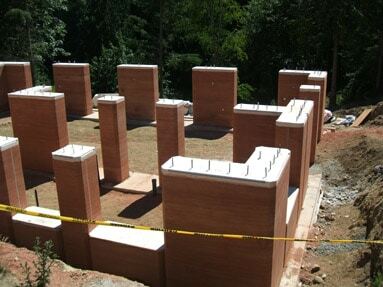 The house uses geothermal and a masonry fireplace for heating. 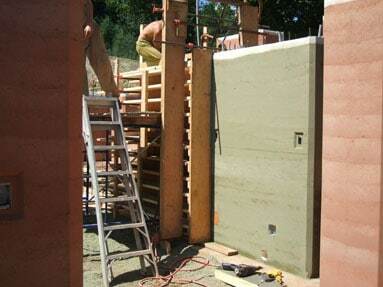 There are 5 sets of doors on the south of the house facing the ravine. 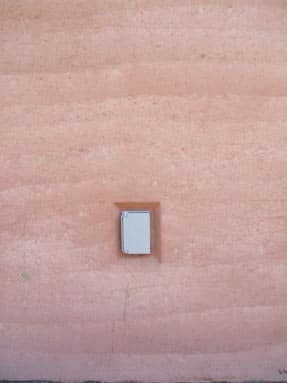 Imaging having the doors open onto the patio on a hot summer day and letting the breeze flow into the house..
An interior light mounted on the wall. 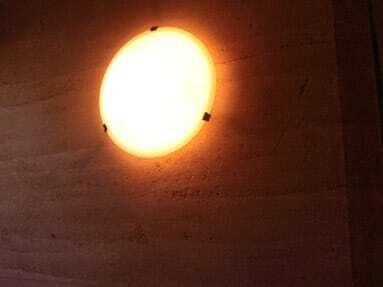 The light casting a warm glow onto the wall.